UK Dry, Steam Upholstered & Leather Sofa Company| Quality Property Care Ltd.
Professional Upholstery Cleaning in the UK by Quality Property Care Ltd.
Make sure you remember this number: 020 3746 4287 and dial it every time you make a spot on the sofa or you just want to freshen up the luxurious upholstery either in your house, or in the office. Quality Property Care Ltd. company work 365 days per year with no exception for weekends and holidays. Our kind and polite professional sofa cleaning customer support representatives are available for your orders and questions! Suitable for hotels, hostels, hospitals and everything that has beds. Being the most delicate and in the same time preferred materials of upholstery, leather and suede require more special approaches. Our domestic and commercial upholstery cleaning company in the United Kingdom applies dry sofa cleaning method for sofa stain removal, as well as great suede sofa cleaning and leather sofa cleaning detergents with zero chemicals or other harmful elements. 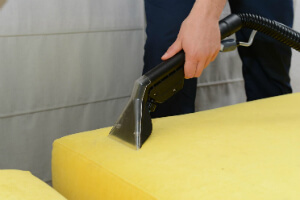 Suede sofa cleaning is in most cases applied for these materials: suede, velvet and other delicate materials and dry cleaning is used to protect them from tearing. Leather sofa treatment requires crack filler with different colours, mat leather, leather rejuvenation, as well as Foam Leather cleaner. 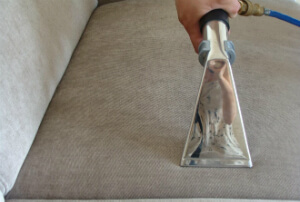 Steam Sofa Cleaning in the UK by Quality Property Care Ltd. Hurry up and make your reservation for residential and domestic upholstery cleaning services in the UK! Quality Property Care Ltd. guarantees you full customer support and great final outcome. We are available for your orders and questions every day on this phone number: 020 3746 4287! Combine with carpet cleaning or hard floor cleaning and get a special discount! Get a free quote today, make an order right away!